Στο παρόν πεδίο παρατίθενται οι ομιλίες των στελεχών του ΕΟΠΕ σε διεθνή επιστημονικά συνέδρια. Fouskas, T. and Sidiropoulos, S. (2017) “Overcoming Social Disadvantage and Inequality for Social Integration of Migrants through Education: Social Policy and Access to Early Childhood Education for Immigrant and Refugee Children in Greece in Times of Crisis”, Session: “Early Childhood Education, the Social Investment Strategy and Southern Europe which will be held in the next 10th ESPAnet Italy Conference “The Welfare and the losers of globalization: social policies facing old and new inequalities”, 23 (21-23) September, 2017, University of Bologna – Campus of Forlì, Italy. Available at this link (in English). Fouskas, T. and Mine, F-M. (2017) “United we stand, divided we fall! We could rise together but I ain’t need any associations, I’m better alone!” Precarious, low-status work repercussions on community networks of solidarity of Pakistanis, Ethiopians and Filipinos in Greece in hard times”, paper presented at The Migration Conference 2017 (TMC2017), on August 25, 2017 (August 23-26, 2017), Harokopio University, Athens, Greece. Available at this link (in English). Fouskas, Τ. 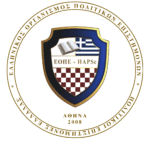 (2016) “Overcoming Social Inequality for Social Integration through Education: Social Policy and Access to Early Childhood Education for Refugee and Immigrant Children in Greece in Times of Global Crisis”, Invited Speaker, paper presented at the conference Geneva Peace Week 2016 at the session entitled: Educating for Peace organized by the Hellenic Association of Political Scientists (H.A.P.Sc. ), November 8, 2016, Palais des Nations, Room XIV, 1202 Genève, Switzerland. Available here (in English).